ICP HHB-5-110 is a hydraulic applied yaw brake, specifically designed for the Gamesa G8X Wind Turbine. Manufactured to control yaw movements and turn the rotor into the direction of the wind. Industrial Clutch Parts Ltd. have produced an extensive range of lightweight, noise-free braking systems used by the majority of leading wind power plant manufacturers. The HHB-5-110 yaw brake is directly interchangeable with Gamesa G8X wind turbine yaw brakes. ICP HHB-5-110 hydraulic hybrid yaw brake incorporates five hydraulic active pistons and two passive spring applied pistons to meet your braking requirements. The Active Brakes are used for stopping and holding; manufactured with a minimum air gap for faster braking and shorter response times. Whilst the Spring-Applied Fail-Safe brakes are used for parking and emergency stopping in case of power failure; functioned to start when the oil pressure to the brake disappears. The Gamesa G8X Yaw Brake consists of five organic brake pads and two composite brake pads. The organic brake pads are hydraulically applied with high friction coefficient to enable quick braking and stopping times. Whilst the composite brake pad is mechanically screwed and offers a low coefficient of friction for slippage and stability of the brake disc.  ICP hold stock of all Gamesa G8X Yaw Brake component parts, including stainless steel pistons, hydraulic and dust seals, centering pins, and bushings. All manufactured to provide a noise free performance and long service life for your Wind Turbine.